The dinners I had this weekend were excellent and share-worthy, so here you are. 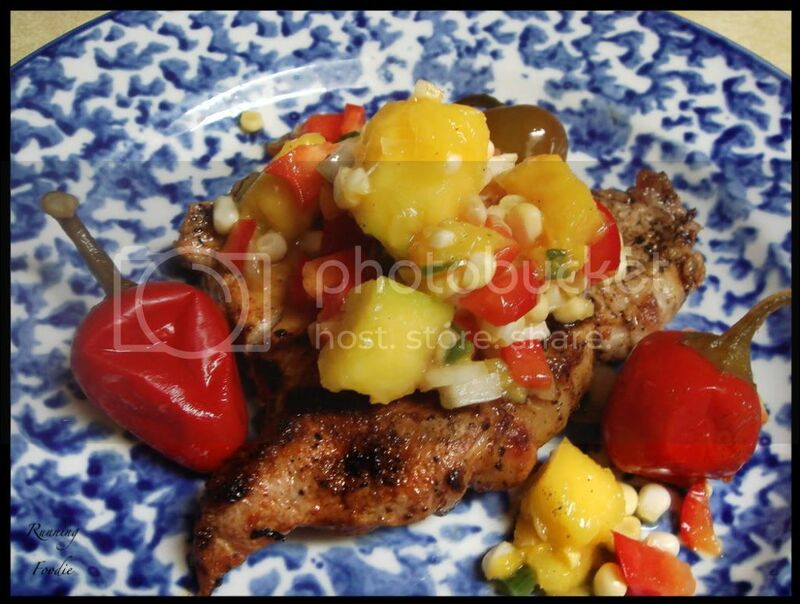 Grilled pork with mango-corn salsa and cherry peppers. The pork was smoky, juicy, and hot and was a nice contrast against the cooling mango salsa. The mild cherry peppers added that extra dimension which made each bite of a slice of pork and salsa come together. If you want to make the mango salsa, I followed the outline for the peach salsa recipe at the end of this post, adjusting where I wished. The chicken was cooked in the same manner the chicken in this post was. I used a different sauce, but with the same ginger-orange premise. While it would have been exceptional, I didn't add enough ginger and orange to really bring the flavors out, so it was very subtle and subdued if mixed with rice or soy sauce. 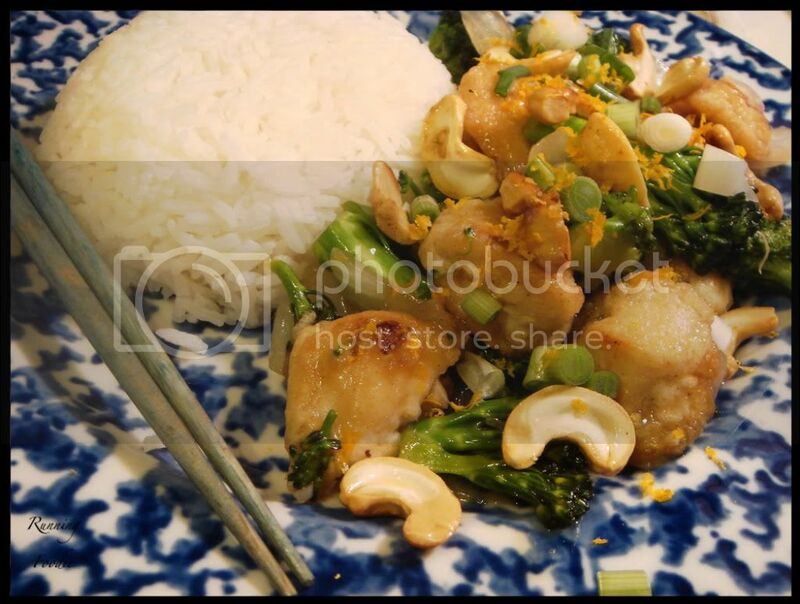 Otherwise, the chicken was juicy, the broccoli wasn't mushy, the rice was perfect, and the crunchiness of the cashews was the perfect contrast. I might make "weekend dinner wrap-up" a new reoccurring addition to my blog. What do you think? Were those pickled cherry peppers or sauteed? or just raw? just curious b/c when I saw the pic I remembered how much I love them and need to cook with them more. We Are Never Full - Yup, the cherry peppers are pickled.